Home / Columnists/ Restoring ‘Economic Democracy’: Is it an elusive goal? Restoring ‘Economic Democracy’: Is it an elusive goal? One of the pledges made by the present Government in its election manifesto titled ‘The Five Point Plan for creating a new country in 60 months’ has been the delivery of economic democracy to people. In the preamble to the manifesto, the party has emphasised that the restoration of the proposed ‘social market economy’ is akin to the expansion of the frontiers of the economy alias delivery of economic democracy to people. This is a noble pledge, but no one had properly comprehended what economic democracy meant. Hence, in order to educate the public as well as the Government party politicians what it meant, this writer wrote a commentary on economic democracy in a previous article in this series (available at: http://www.ft.lk/article/472845/Part-II--Delivering-Economic-Democracy-will-lead-to-controversy-unless-it-is-defined-properly ). In a nutshell, economic democracy means that economic choices are made by people and not by politicians or Government officials. Hence, what is necessary is to restore a proper consultation process whenever the Government moves for a new economic policy or changing an existing economic policy. Thus, economic democracy is nothing but economic freedom. However, as revealed by the data compiled by the Washington DC-based Heritage Foundation in its Index of Economic Freedom, Sri Lanka has been slipping down in the index over the past few years meaning that its people are becoming less and less free when it comes to making economic choices. In the index for 2016 covering the period from mid-2014 to mid-2015, Sri Lanka had slipped from a Moderately Free economy to a Mostly Unfree economy, but being placed at the threshold. The new good governance government that had promised to deliver economic democracy to people was expected to halt this process and reverse it. Yet, the index for 2017 that covers the period from mid-2015 to mid-2016, during which the present Government was in power, Sri Lanka has further slipped down in the index and has become a permanent resident in that category. This is not a development about which the leaders of the present Government could be happy. There has been a section in Sri Lanka’s society which has argued consistently and resolutely that Sri Lanka should have a merciful dictator. Such arguments are a public demonstration of the frustration of people aloud about the deteriorating economic, social and political conditions. 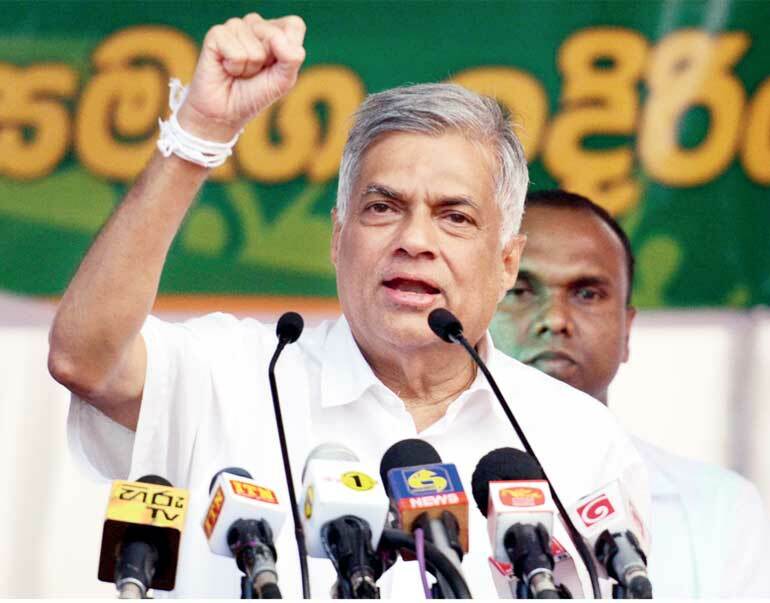 A dictator, although a one-track man unmindful of and oblivious to people’s wishes, would usher in a new era to Sri Lanka, they argue, if he keeps the nation’s interests above his personal interests. They quote the example of Singapore’s Lee Kuan Yew as a role-model who has proved its success. So, why not create a Sri Lankan version of a Lee Kuan Yew? Interestingly, the first to say so in the recent era was an erudite Buddhist monk, Rajakeeya Panditha Venerable Henpitagedera Gnanaseeha Thero, who wrote a book in Sinhala in the late 1960s under this theme arguing for the need for a benevolent dictator for the country. The objective was to deliver prosperity and enable the country to regain its former glories. The book became an instant bestseller with many supporting its views, while only a handful had the courage to oppose them at that time. It would have been sweet music to the ears of the then politicians because the book provided the moral and ethical justification for an authoritarian regime in the event of their choosing to have one under their control sometime in the future. Since then, many have subscribed to this view. They have diagnosed that Sri Lanka’s economy since independence has underperformed and the reason for that underperformance is the laziness of the people. The laziness of people has been attributed to the democratic freedom which does not compel people to work. Hence, it is necessary, they argue, that an authoritarian ruler should force them to work hard. Such an authoritarian rule based on coercion instead of motivation can generate higher performance immediately. But it cannot sustain that high performance over the years. It would be like the hump of the back of a camel which rises at the beginning but falls later. That is because, as this writer had argued in a previous article in this series (available at: http://www.ft.lk/article/141268/Authoritarian-regime-for-economic-prosperity--Not-even-a-little-bit-will-work-in-the-long-run), continued human prosperity depends on continued invention, innovation and entrepreneurship and they cannot be made possible unless people enjoy freedom of thought, expression and action. The Index of Economic Freedom has documented how economic freedom will help nations to prosper continuously. There is a positive relationship between economic growth and economic freedom as such the higher the degree of economic freedom, the higher the per capita income or PCI, measured in terms of its purchasing power value where wellbeing is gauged not by the level of nominal income but by its ability to buy a designated basket of commodities. Then, increased PCIs lead to reduce poverty levels and improved human conditions such as life expectancy, literacy, health, education and overall quality of life. The compilers of the index have found that innovation, social progress and environmental conditions also improve along with the increase in economic freedom. Accordingly, advancing economic freedom is a necessary condition for true progress of mankind. This has been echoed in broad terms by Nobel Laureate in economics, Amartya Sen in his 2009 book, The Idea of Justice, as follows: “In assessing our lives, we have reason to be interested not only in the kind of lives we manage to lead, but also in the freedom that we actually have to chose between different styles and ways of living. Indeed, the freedom to determine the nature of our lives is one of the valued aspects of living that we have reason to treasure. The recognition that freedom is important can also broaden the concerns and commitments we have. We could choose to use our freedom to enhance many objectives that are not a part of our own lives in a narrow sense (for example, the preservation of animal species that are threatened with extinction). This is an important issue in addressing such questions as the demands of environmental responsibility and of sustainable development” (p 227). The index for 2017 has taken into account 12 different attributes which enhance the economic freedom of people and they are broadly categorised in four areas. Countries have been ranked in terms of the above 12 attributes and marks have been assigned to them, 100 being the best and zero being the worst. Sri Lanka’s score table in 2016 (covering the period from mid-2014 to mid-2015) and 2017 (covering the period from mid-2015 to mid-2016) has been presented in the table. It also gives the overall score for each of the years, ranking of the country from among the countries in the index, categorisation of the country according to economic freedom and a separate calculation done by compilers of the index as to the size of the shadow economy of Sri Lanka in 2006 and 2007 as reported along with the index for 2016. Sri Lanka has scored relatively high for tax burden and Government spending meaning that they at present do not inhibit people’s freedom. That is because the average tax revenue and the spending of the Government are very low in terms of GDP at the present levels of public finances of the country. But this is not an achievement since this score could reverse when the tax to GDP ratio and the level of the Government spending are expected to increase in terms of the policy of the Government. What is really stressful for Sri Lanka is its poor fiscal health in terms of stubborn budget deficits and growing public debt. Budget deficits have become the norm of Sri Lanka’s public finances with every successive fiancé minister resorting to this tactic in order to maintain the ever increasing public services. Hence, it has to borrow more in order to service the existing public debt, that is, repaying principal and paying interest thereon. Since these obligations are almost equal to the Government revenue, Sri Lanka has to borrow again and again in order to avoid having to default its debt obligations. The corollary is the continuous growth of public debt pushing the country to the wall from which there is no escape. Thus, it is like something written on the wall that Sri Lanka has to default its public debt one day without any further resources at its command to service its debt obligations. Thus, the index for 2017 has assigned a very low score to Sri Lanka on this count, namely, 31.2. This should be a warning to all Sri Lankans about the destiny which is marked for them in the years to come. Sri Lanka has done very badly in its fight against corruption. In the index for 2016, pertaining to the period from mid-2014 to mid-2015, Sri Lanka’s score on this count was very low at 38. The country was expected to eradicate corruption with the election of the good governance government to power in early 2015. However, the index for 2017 covering the period from mid-2015 to mid-2016 shows that its score on account of Government integrity has fallen to 30, a sad state depicting the waste of the country’s scarce resources, on one hand, and the plight of the citizenry at the hand of politicians and bureaucrats, on the other. 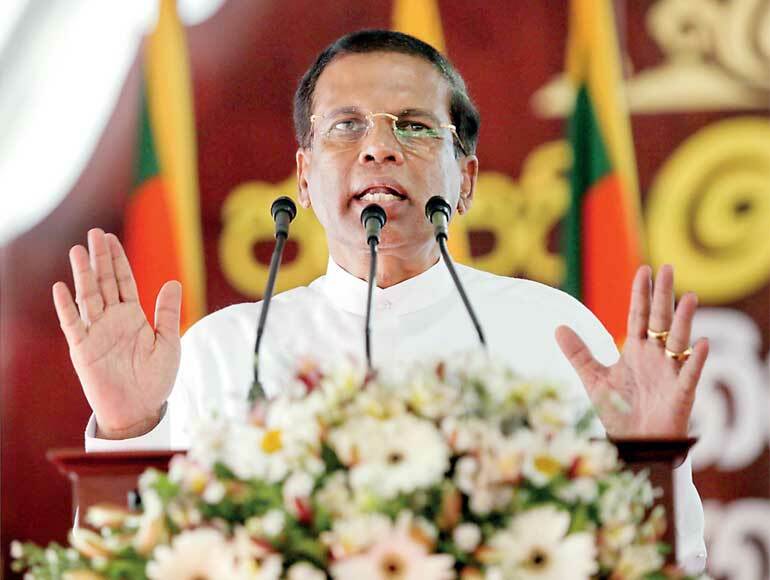 Sri Lanka in fact strengthened the institutional arrangements for fighting corruption in the initial period. Yet, the poor score warns that those measures have not been effective in attaining their objectives. The high size of Sri Lanka’s shadow economy should be another frustrating experience for policymakers. When the shadow economy is high, in Sri Lanka’s case it is about 42% of the total economy, the level of corruption is high, while tax revenues are low. It also reduces the overall welfare of citizenry since income is distributed in favour of a few people in the country. Thus, the Government is compelled to introduce costly poor relief schemes to safeguard the group of people that do not benefit from the shadow economy. It makes the inclusive growth which the Government is planning to attain a mockery. The country is continuously ranked low in terms of the economic freedom of its citizens and in the most recent year, it has further deteriorated. Thus, restoring economic freedom has become elusive and it should definitely worry the top leaders of the Government. The implications are that it has adverse impact on growth, poverty eradication, improvement of environment, human development and social mobility and development. Hence, if Sri Lanka is to attain true development, it cannot ignore the deteriorating state of the economic freedom of its citizens.